By outsourcing system support and reengineering to Kanda Software, Decision Management Solutions can focus on their business priorities. Decision Management Solutions (DMS) selected Kanda to support and maintain their existing product that uses Microsoft Silverlight legacy technology. Additionally, Kanda will offer product re-engineering utilizing a contemporary technology stack. 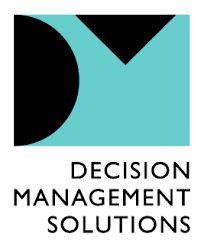 Decision Management Solutions provides decision-modeling software, consulting and training for a wide range of clients. Their solutions allow DMS clients to make data-driven decisions and automate business processes based on data modeling and visualization. Their solution was developed utilizing MS Silverlight, a legacy product that few companies have experience with or choose to support. Kanda was the exception to that rule – having both the ability and interest in supporting legacy systems that are vital to DMS’ business operations. Finding a qualified resource to support and ultimately reengineer an obsolete system is a challenge for many companies. Kanda was not only able to take on this project but willing to because the decision modeling capabilities inherent in DMS’ software are critical to the its continued success.